Another original hat from Big Cat Sticker Shack. This hat is printed (not embroidered) in Bend Oregon. Adjustable Strap. 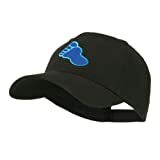 Solid in color and mascot of bigfoot track is embroidered on the front crown of cap.6 small ventilation holes placed on each panel of crown.Bill is stiff and pre curved.Front crown is constructed.6 panels.Mid profile.Embroidered ball cap that is great for mascot, character cap and for any other occasion.All Season.7.5(W) X 12(L) X 4(H) inches.Thick, soft and light material.Available in different colors and styles. Help find Bigfoot, but don't forget your hat! 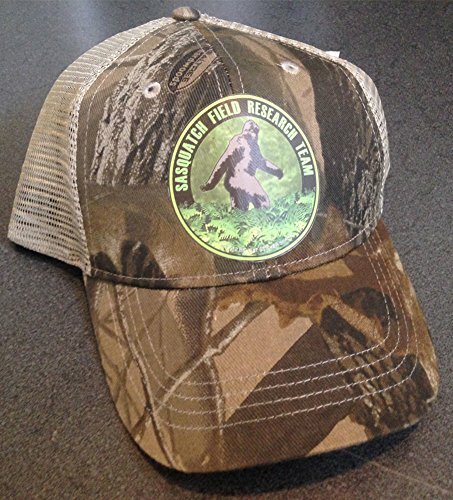 Finding Bigfoot brings this trucker hat featuring the text, "Gone Squatchin"' on the front.